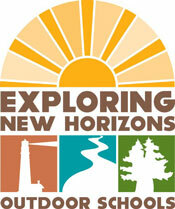 Exploring New Horizons Outdoor Schools at Loma Mar offers 4-5 day outdoor programs to fifth and sixth grade students. 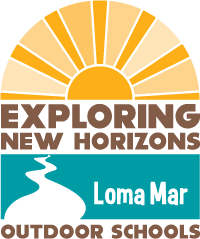 Established in 1979, and the largest of the three programs, Loma Mar provides quality environmental education to over 54 schools from 6 counties, and can accommodate up to 2-3 schools and 200 students at a time. Within a wide variety of eco-systems, our highly trained naturalists introduce students to the wonders and mysteries of the redwoods, rich coastal oak groves and marshes, complex coastal tide pools, organic gardening, and the lush Pescadero creek. Skipping stones, dancing at the Barnyard Boogie, hiking under the night sky, singing campfire songs and making music together brings the magic of childhood alive, while instilling a life-long love of nature. Local high school teenage counselors provide mentoring and community-based role��modeling within the diverse social experiences—enriching the lives of students and counselors alike. An important part of the learning cycle is reflected in the students who became counselors, were inspired to become Naturalists, and are now encouraging more students to take an active role in the care of their future and their planet.